04 Dec 2018 --- Biotech company Amyris has partnered with Camil Alimentos, one of the largest food companies in Latin America, to meet growing consumer demand for zero-calorie natural sweeteners derived from sugarcane. 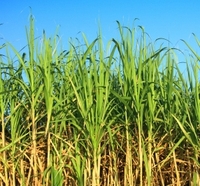 The newly announced agreement involves the development of an innovative option of a natural sweetener, which is zero-calorie and extracted from sugarcane. The partnership is to begin in Brazil, a country in which the company leads the sugar category and offers a complete portfolio of the segment. “We’ve known for a while that our plant-based, zero-calorie sweetener tastes really great – our testers have said it tastes just like sugar and that’s because it’s made naturally from sugarcane. Besides taste, it has zero calories and no chemicals that are bad for you or for the planet. Now, we can provide a better option for people, including those who may be managing diabetes or other health concerns,” John Melo, President and CEO of Amyris previously said earlier this year. Brazil is just entering this crisis, and they don’t have any great tasting options for zero-calorie sweeteners, so we want to help address their need, while at the same time, learn more about what people like, so that we can take those learnings into the US market and give consumers here a better option than what they have today,” she explains. “If we can create molecules that exist in nature today, and do it fast and in a scalable manner, we’re able to get our healthier ingredients into many more products. And we can do it at a price point that makes business sense to our partners, allowing them to bring more healthy products to their customers. Not only are the ingredients healthier, but they’re also created in ways that don’t harm the planet,” she comments. Camil Alimentos has a broad market reach through 300,000 points of sale including retail, cafes and restaurants. The company is also the owner of Brazil’s number one sugar brand União, recognized as the leading brand in the sugar category among trade, and is perceived as one of the most valuable brands among 50 other brands in Brazil, according to reports. “We are always attentive to the demands of the consumers and with the União brand, the most remembered by the Brazilian consumers, we can innovate and surprise once more. The partnership makes perfect sense both for Camil Alimentos' business strategy and for the expansion strategy of the sweetened category,” explains Luciano Quartiero, Camil Alimentos CEO. At the end of October, FoodIngredientsFirst reported that with sugar reduction dominating innovation and strategy globally, consumers are looking for high-quality calorie reduction solutions that taste as good as sugar. Amyris is tapping into these trends and enabling some of the world’s leading brands to achieve sustainable growth through natural solutions that offer alternatives to sugar. This collaboration fits well with Amyris’ strategy to create value for market leaders by delivering “No Compromise” ingredients through long-term partnerships. Amyris’ zero calorie sweetener has received designation as GRAS (Generally Recognized as Safe) by an independent expert panel. By engineering plant-based products using safe and sustainable ingredients, Amyris continues to disrupt markets, the company says. The company’s No Compromise approach guarantees that everything Amyris makes is sustainable with high levels of purity, performs better and is available at a lower cost compared to ingredients made with petrochemicals and absent of agrichemical residues as well, says Amyris. In early October and just a few weeks after Amyris was given GRAS status on its sugarcane-derived zero-calorie ingredient, the company revealed it is joining forces with the American Sugar Refining, Inc. (ASR) in a significant supply and distribution deal. Melo confirmed to FoodIngredientsFirst that there would be further announcements coming from the company, relating to their ingredient portfolio. “We are having active discussions in Asia, specifically in Japan, China and Taiwan. We are also very close to an agreement within the Brazilian market,” he said at the time.